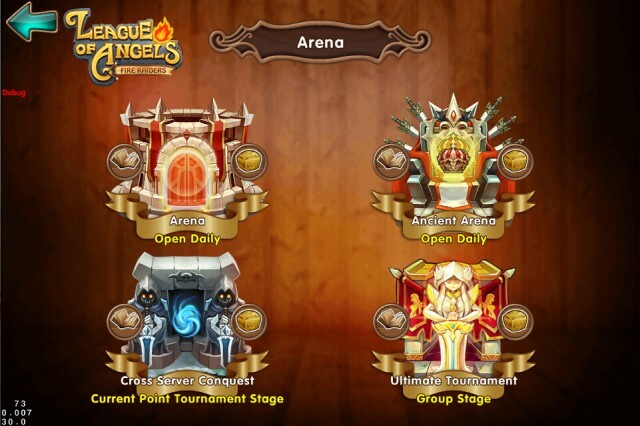 Ultimate Tournament is a brand new PvP mode that’s designed like a sports competition. Players form 3 hero formations and compete with others in a multi-stage competition to see who will be last one standing. 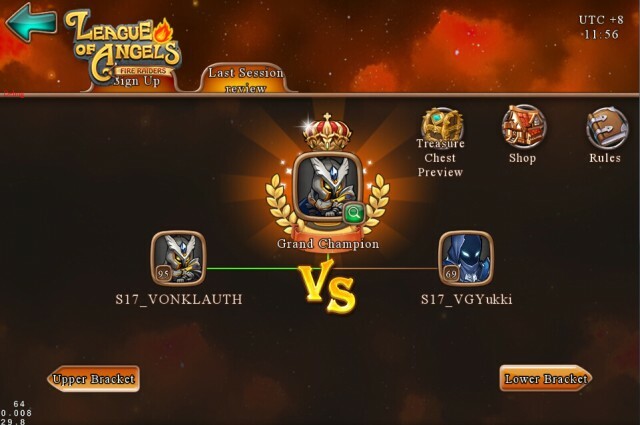 After sign up, players must make it out of the group stages and into the elimination stage, where the final 32 will fight until 1 is crowned champion! Give it your all in the Ultimate Tournament, for truly epic rewards await those who can rise above and beyond (such as Paragon Hero Soulstones)! 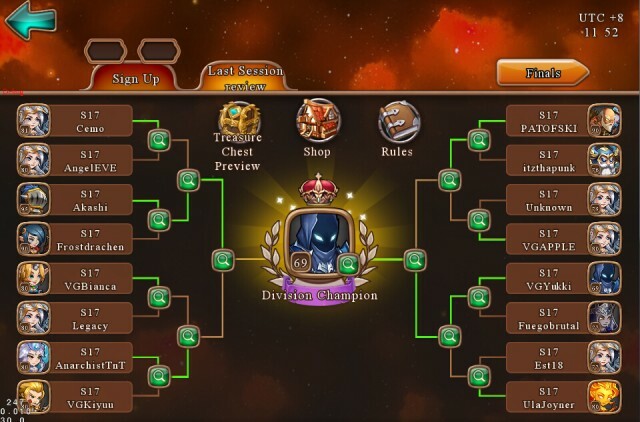 *The Ultimate Tournament is divided into: Sign Up Stage, Group Stage (grouping, matches), and Elimination Stage (prep, matches, and final Championship stage). Championship stage: after a 30 min break, the finla champioinship battle starts at 21:30. 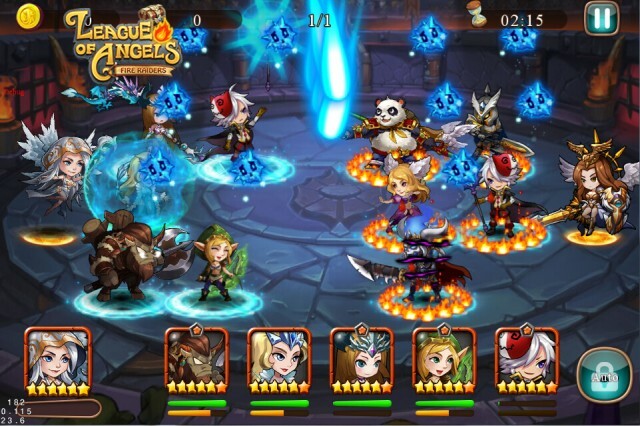 Qualifying players must submit 3 team formations, each team must have 5 Heroes and 1 Angel. If total Sign ups does not meet 128 players (number can be configured), then the system will automatically add eligible players that did not sign up according to BR (if the player was in previous session, then previous formations will be used). 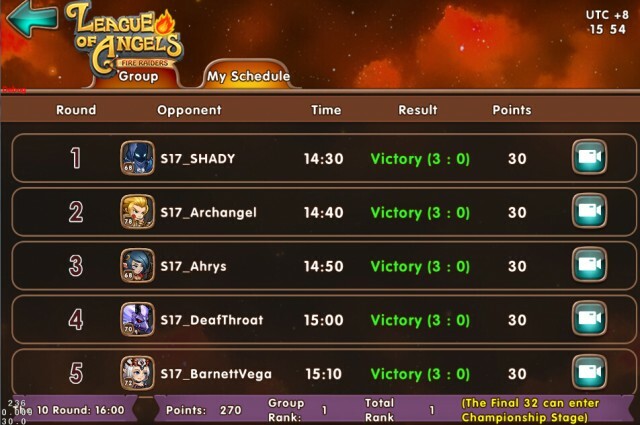 At the sign up stage, player can review the battle reports from the last session. Group Stage grouping: 16 players per group. Players will battle with others in their groups in full formation auto combat. If a battle lasts until time has run out, damage done will determine winner. 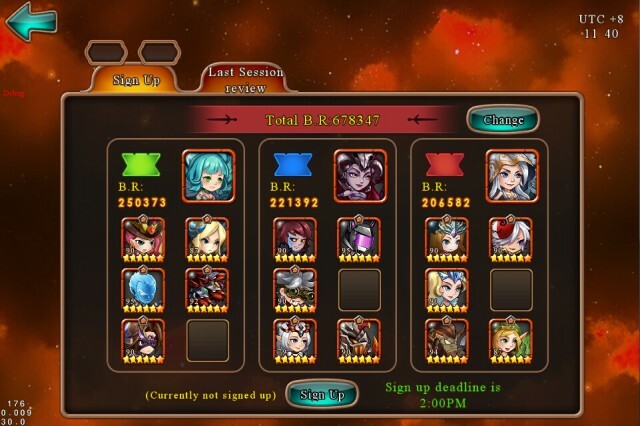 Players can view the damage done by each of his active heroes. 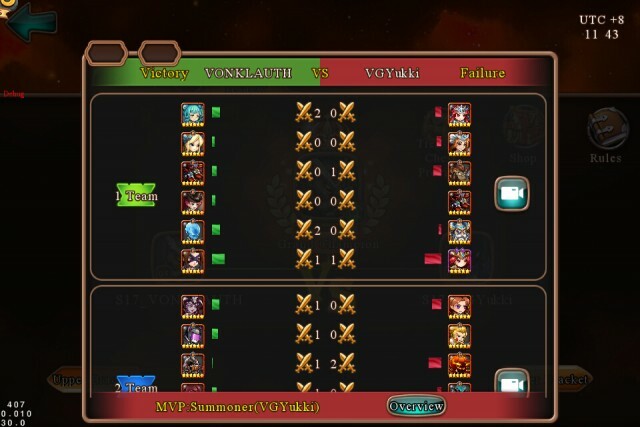 The final MVP will be chosen from heroes after grouping stage. The final 32 players with the highest points among all groups will move on to the Elimination stages, BR will be used when players have the same points. During Elimination, 32 players will be divided into two Brackets for battle. In each Bracket, the top 8 will move on to the Final 8, then Final 4, 2, until a final victor is left. Championship stage is between the last 2 players from the two brackets, the winner will be named Champion for that session. 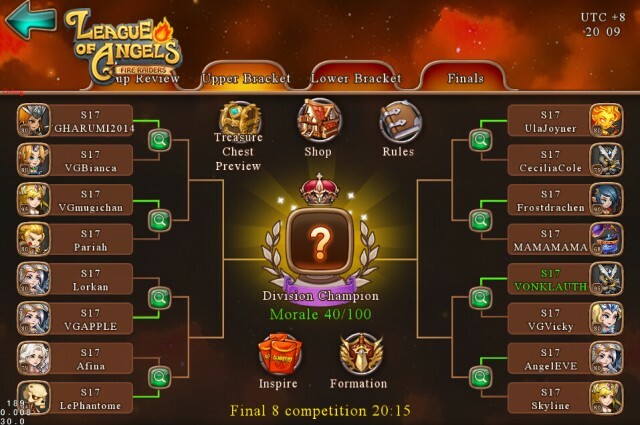 Before Elimination/Championship Stage starts, players may adjust their formations (only using Heroes and Angels used to sign up), the battle order of their teams, buy Buffs and send Gifts. During Elimination/Champion Stage, players can use Diamonds to increase Morale (Inspire) and create Gifts. Rank rewards will be given out throughout the different stages. The top 4 players can gain soulstones of Paragon Heroes as rewards. Once Ultimate Tournament is added to the game, another shop will be open. 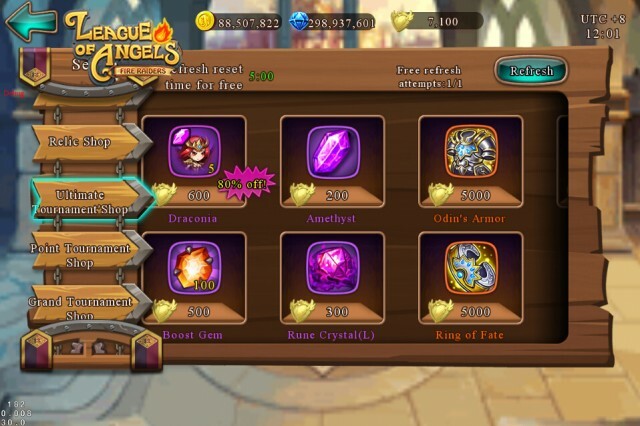 Soulstones of Paragon Heroes will be available in this shop.